One thing about being in the circus is that Xarxe, the costume & make-up lady, is always putting glitter or jewels or make-up on us. 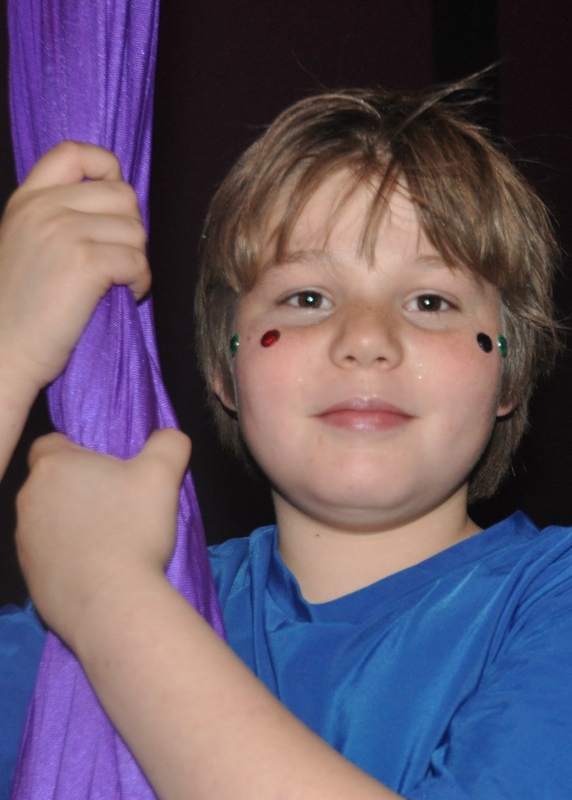 In December every year, the adults of the Lone Star Circus put on an amazing show. The kids from the circus school put on a pre-show. 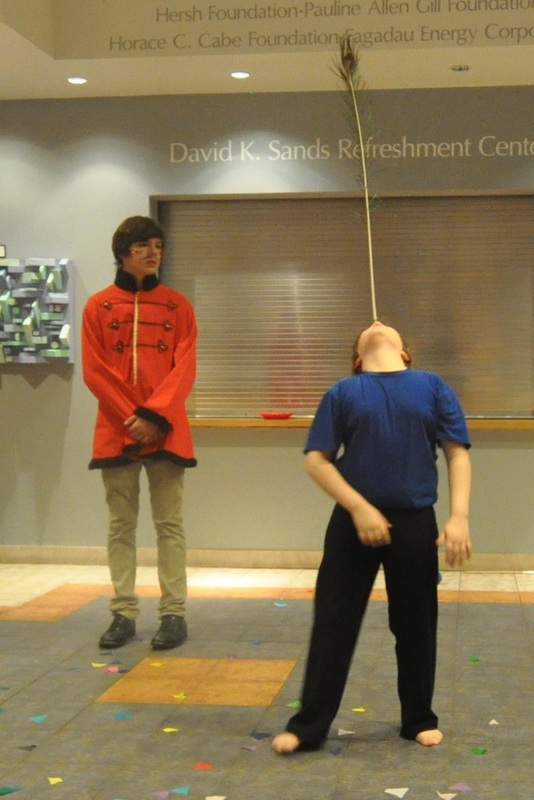 Last December, I did a balancing and juggling act — and I performed on the silks. Here’s some photos from that show. I can balance almost anything on my nose or my chin — peacock feathers, a baseball bat, a spinning plate, and a lot more. 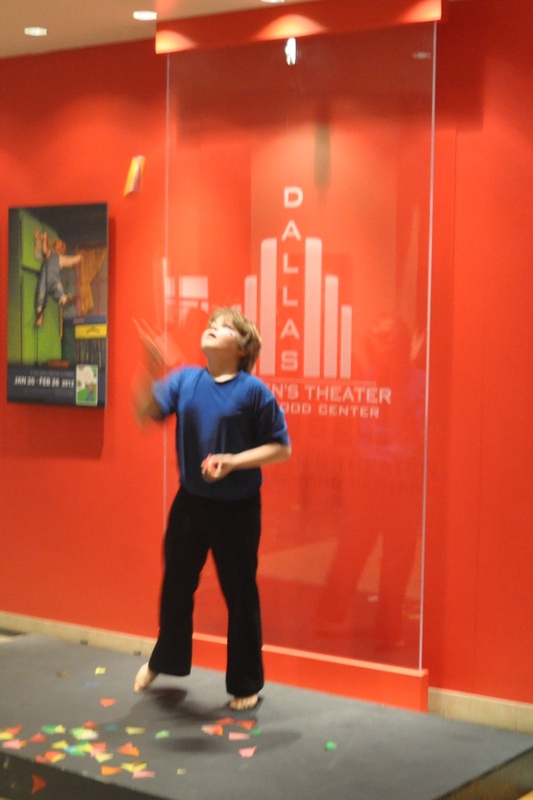 This is me juggling on the small stage at Dallas Children’s Theater.